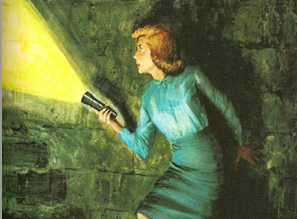 The famous girl sleuth from Hardy Boys author Edward Stratemeyer, Nancy Drew, that debuted back in 1930 and went on to appear in a series of books, movies, television shows and video games is coming to CBS. The network greenlit a pilot featuring a reimagined version of the amateur detective called Drew, aged her to her thirties, made her a real NYPD detective and will be a person of color. Drew‘s executive producers Joan Rater (Grey’s Anatomy) and Tony Phelan (Madam Secretary) will write the pilot and Dan Jinks (Pushing Daisies) will direct. In this contentious time of film's lack of diversity especially when it comes to recognizing black actors for their work, television continues to the inclusive medium for people of color. CBS hasn't been the standard for such diversity thus far so the fact that they're actively looking for a diverse lead is a step in the right direction.